Whether it is little Jimmy’s first trip to London or that Grace and Daisy are lucky enough to be regular visitors to London’s theatreland, family theatre breaks in London are a great option if you are looking for short family-friendly breaks in London this year. Depending on the age of your children, here are the shows that are on now that we think will be perfect for a famly group. 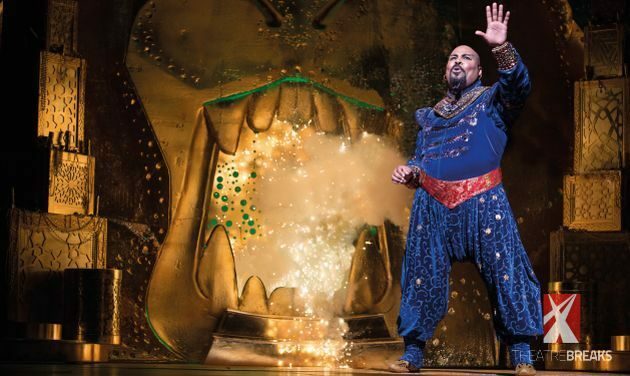 Family friendly shows have never been a problem in London – from The Lion King to Matilda the Musical. The quality of production is such that the whole family will appreciate the spectacle. 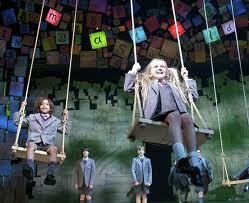 Shows like Matilda, with music and words by Aussie comic Tim Minchin and Wicked are quite sophisticated. So they will easily entertain older children and adults. The Lion King is a perfect example: at 2hrs 30 minutes some children might struggle. Short shows will make sure that your kids behave! Linked to the length of the show is the time that it finishes. Matinees are great for the old and young alike as they finish early! As the children get older then a late evening in itself is a special treat. London at night is absolutely magical. My top three hotels for family theatre breaks are the Novotel Tower Bridge, the Holiday Inn Kings Cross/Bloomsbury and the Marriot Hotel Regent’s Park. All have good sized rooms, are not too expensive and have good facilities (the second two having pools) PLUS they are close to other attractions. You could add the Marriot County Hall which is close the London Eye and the London Aquarium but you are starting to creep up the price list a bit. London has a huge range of hotels, but hotels catering for families are a little more limited. Rooms for three people (two adults and one child or one adult and two children) are not so hard to find although if you you are one adult and two children the first child will get charged as an adult. Ad Break: At our hotels, a child is generally 15 or below. Many other hotels will count children as young as 13 as an adult. For families of two adults and two children there is even less choice, so my advice is to book early. We are now booking for up to 12 months in advance! For longer stays you may rather stay in two rooms. If you are lucky enough to have three or more children then you will have to use a second room anyway. There are a few apartments on our list too, that I would recommend you consider. There are some cheaper hotels too but if you are sleeping with your family then you want to give yourself all the chance you can to get a good night sleep! When you book your family theatre break you can also add in many London attractions to keep the family busy throughought the day. From river cruises and bus tours to flights on the London Eye and visits to London’s many tourist sites. These include The Tower of London, Madam Tussaud’s, Buckingham Palace. A great way to see four of the top attractions is to book our London Attractions Super Package which give you priority entrance into London Sealife, London Dungeons, London Eye and Madame Tussaudes. If you have not brought children to London before do download our free eguide on London theatre. With some great information it also includes a chapter giving tips for bringing children.